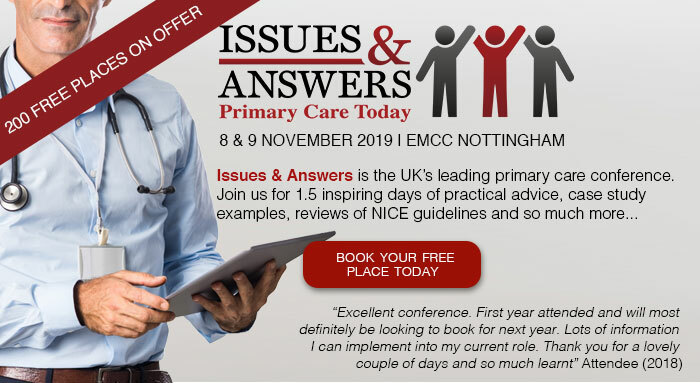 Now in its eighth successful year, Issues & Answers in Primary Care Today is an annual conference for primary care professionals dealing with the management of cardiovascular disease (CVD), diabetes, long-term conditions plus other every day conditions. The 2019 event will be held at EMCC in Nottingham, 8-9 November. The meeting brings together the whole primary care team to hear and learn from an inspirational programme with expert speakers in an informal environment with lots of opportunity to share best practice with colleagues. There are 200 free places available for early bookings and the meeting represents great value with practical education and 9 CPD points. This programme focuses on the complexities of interrelated diseases which are among the most frequent and costly primary care visits. As always, it will emphasise interaction and practical learning specifically created to ensure that you leave with ideas and knowledge which you can immediately apply in your day-to-day practice. The event represents an amazing opportunity to see, hear and question our experts whilst networking with fellow primary care professionals. Using the highly interactive app, delegates can add to their conference experience by questioning speakers during sessions and live voting on case studies. 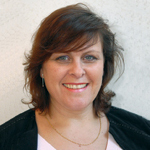 How valuable is the conference? The first 200 delegates attend free of charge. Thereafter the cost of registration will be £60.00 per person. Thanks to the generosity of the faculty and our sponsors we have been able to ensure that registration is affordable. Included in your registration are conference materials, lunch & refreshments. For our sponsors, the conference offers a variety of opportunities to support this educational programme. Every effort has been made by the Programme Committee to ensure that sponsorship is fully recognised and events are integrated into the main programme without compromising academic independence. We are delighted that the conference has become a popular fixture in the primary care calendar and look forward to welcoming ‘old friends’ and making new ones. Our educational aim: Provide delegates with evidence-based knowledge, guidance and advice which will help them to deliver the best patient care. This learning is provided in a structured but informal setting to maximise interaction and the exchange of ideas and experience.